By William Mackay: Former IBF/WBA light welterweight champion Amir Khan has sent another contract for Lamont Peterson to sign for a rematch. However, like the last contract that Khan and his promoters Golden Boy Promotions sent off to Peterson, there’s been zero response to the overtures for a rematch. Khan has already given Peterson a 48 hour deadline, which has long past but Khan still isn’t giving up on the idea of fighting him. He wants the fight and is hoping that the new offer will be successful in luring Peterson into the rematch. 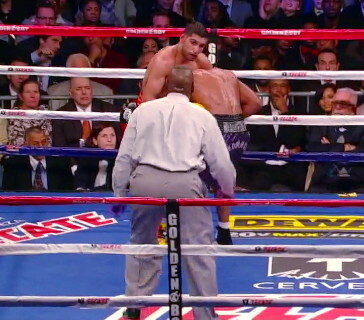 Khan wants the return fight to take place in April at the Staples Center in Los Angeles, California. This would take advantage of the huge Pakistani population in the Los Angeles area, enabling Khan to possibly sell out the 19,000 seat Staples Center. Those aren’t interesting fights by any means, but those are some of the guys that are available that won’t be a threat to beat Khan. Malignaggi and Mosley fit the requirement of Khan facing someone that is well known by U. S boxing fans. Khan already fought Malignaggi in the past, but with no safe opponents available, Malignaggi could get the call. He fights for Golden Boy Promotions like Khan and needs a big fight due to his hoped for title shot against WBA welterweight champion Vyascheslav Senchenko not going his way due to Golden Boy losing the purse bid to Senchenko’s promoter.